If your foundation consists of severalwooden planks, then first connect them. For example, here are used two wooden blinds, connected by a metal bar and two screws. 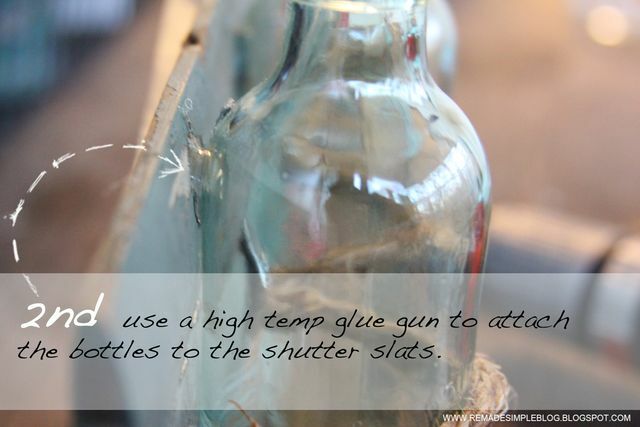 Then glue the bottles well to the hot melt adhesive. The rope here serves as a decorative element. 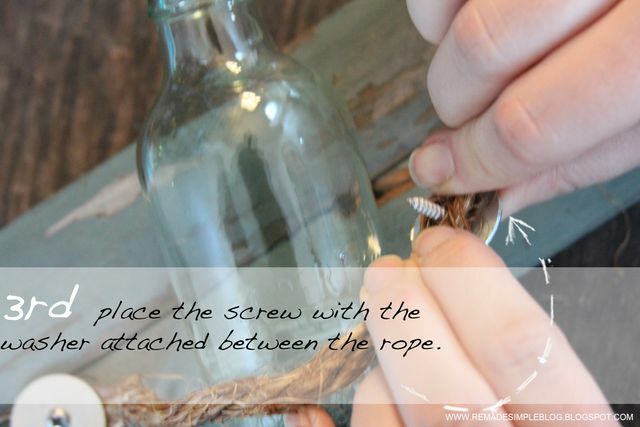 Attach it to the wood with large washers and screws. 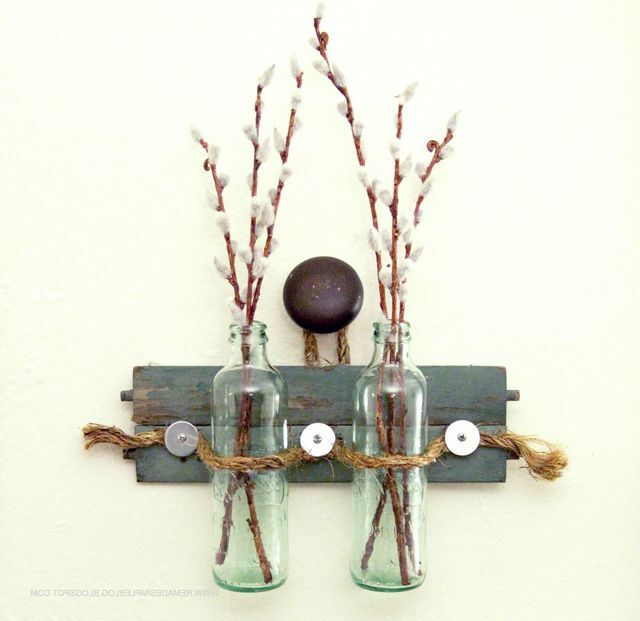 If you are confused by the fastening of the glass to the wood with glue, then attach the bottles with metal clamps, which then zadekorirovat rope. 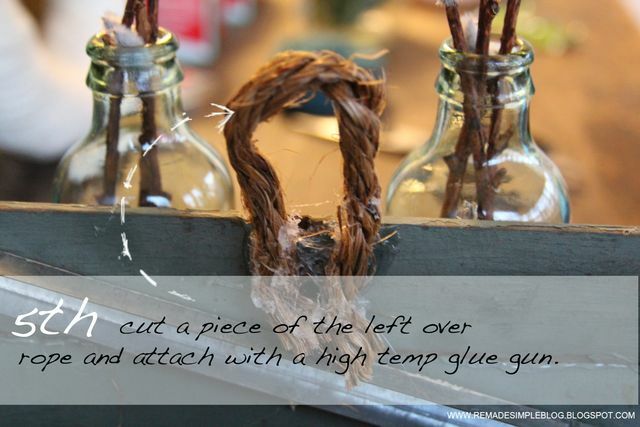 From the remains of the rope, make a small loop using all the same hot melt. That's all! 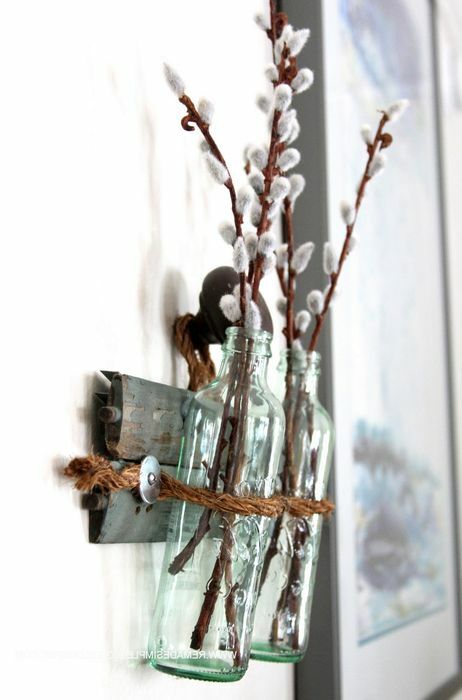 For a holistic picture, use a vintage object as a pin, onto which the vase is hung. 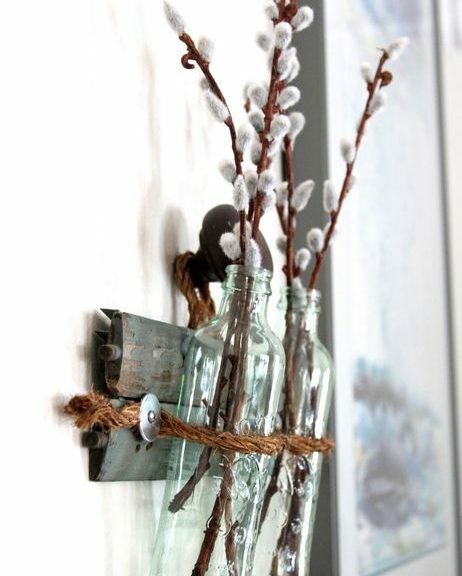 For example, an old door handle will perfectly cope with this task!